I stand at the ironing board, ready to press over the hem on the towel. I look more closely, flip the fabric over, flip it back. I pause, indecisive; which side is the “right” side? Many weaves look distinctly different on one side from the other. Summer and Winter is a perfect example. 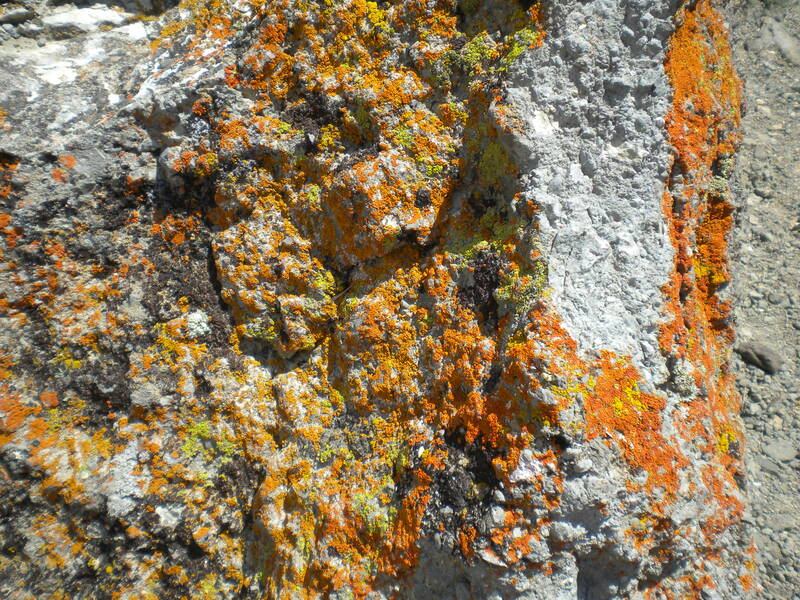 One side is predominantly light and the other predominantly dark; that’s where it gets its name. 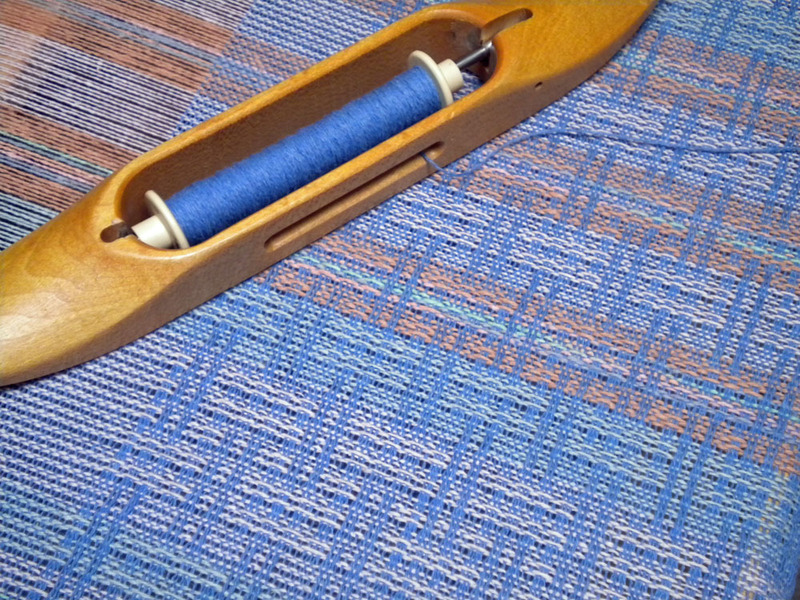 Twills can have the same effect depending on the float lengths and colors of the warp and weft. 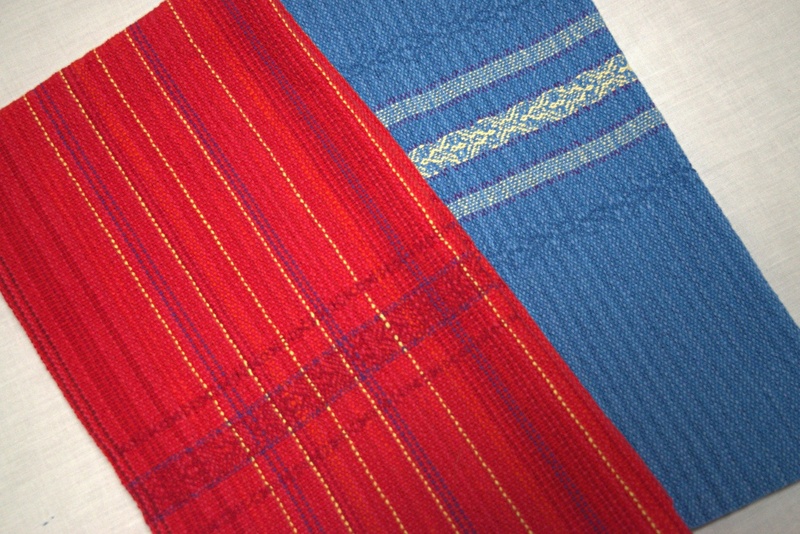 I weave a lot of twills and when the fabric is on the loom, I get used to the face on top. When the warp advances around the cloth beam to where I can see the other side, it’s can be a delightful surprise. Sometimes I can’t decide which side I like better. Do I want the accent motif to stand out on a uniform background, or is the background itself the star of the show? As the weaver, it’s really up to me to choose which is the “right” side. Some weaves are pretty much the same on either side. 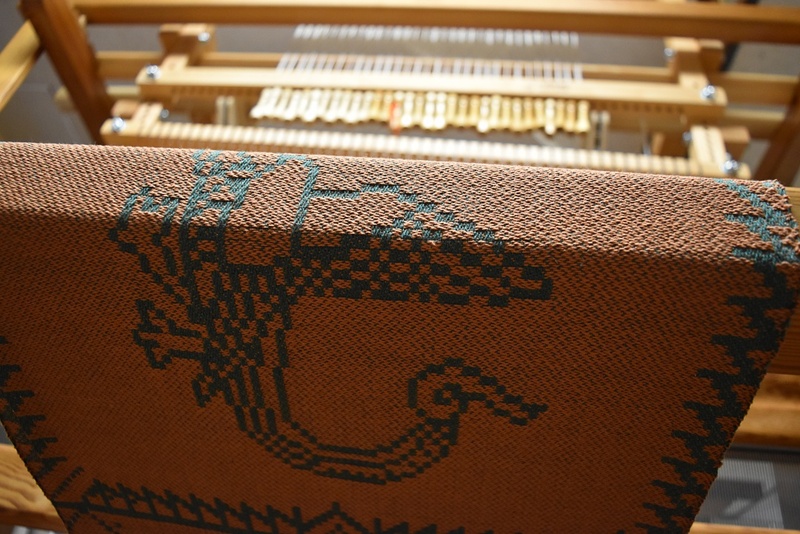 Plain weave is – well, plain. Lace weaves will be opposite but still lace weaves—a weft float on the front will be a warp float on the back. It just depends on what you are looking for. There comes a moment, though, when I have to decide—which is the front side and which is the back side. Hems have to go somewhere. I pick up the iron, press, and pin. Decision made. At least until I sit down to sew the hem and have second thoughts. A loom comes home with bells and whistles that I’m compelled to use, compelled to learn techniques that will show the loom’s full capabilities. Our guild challenges us to create within the framework of a theme, a museum inspiration, a commercially chosen color, a natural phenomenon. These have subtly influenced my weaving this year. I put it in the back of my mind, behind the hangings, towels, and blankets in progress. Gradually the idea came into focus, a continuation of my museum inspiration from last year—how highlights and shadows can be woven into a 2-dimensional fabric. 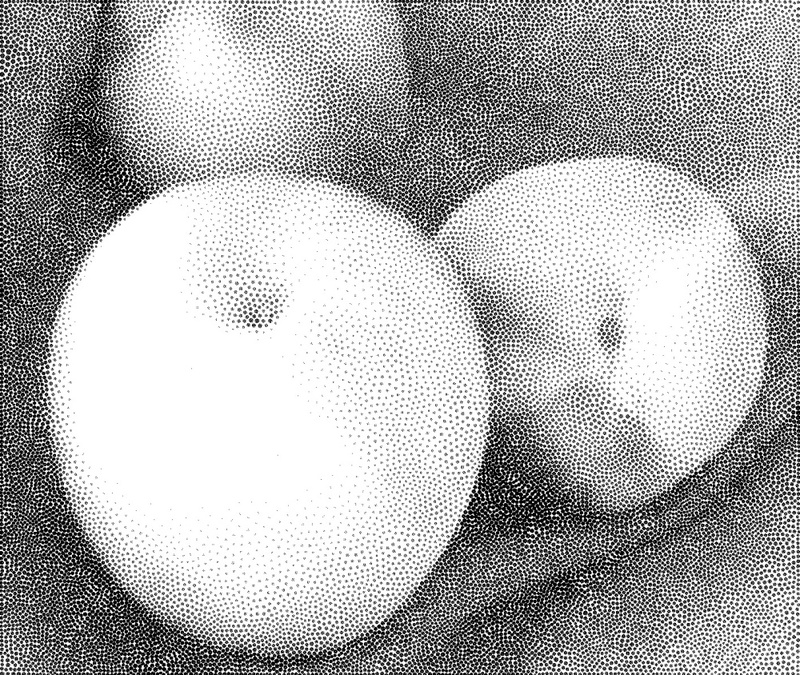 With each step, I reduced the image further to the bare minimum for single weave units. I graphed out the image on computer, trying to grade the shadows into the highlights. 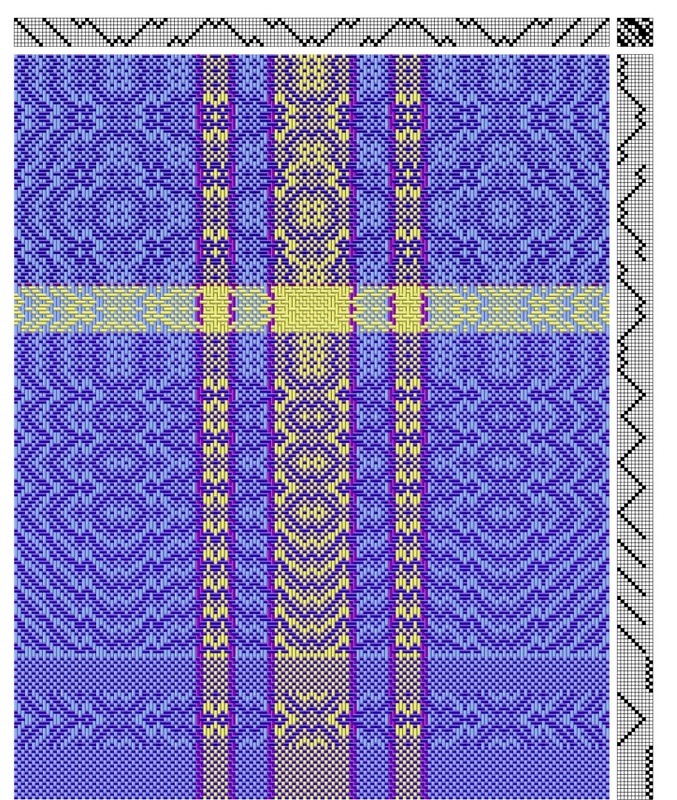 I adjusted the graph squares to more accurately reflect the proportions of my warp and weft. This was a project for the process rather than the end product. It doesn’t have a specific purpose—which in itself is a learning experience for me! But as a challenge project, it did serve a general purpose—that of learning more about perspective, shading, dimension in weaving, proportion. I’ll tuck these lessons in the back of my mind until the next warp. Meanwhile, there are towels to weave and aprons to sew. Well, that depends. Is it a sports car kind of project or a minivan on the loom? Is it a thoroughbred or a draft horse, a short story or an epic, a tortoise or a hare? What makes one project a “hare” and another a “tortoise”? “Hare” projects are fast weaves. 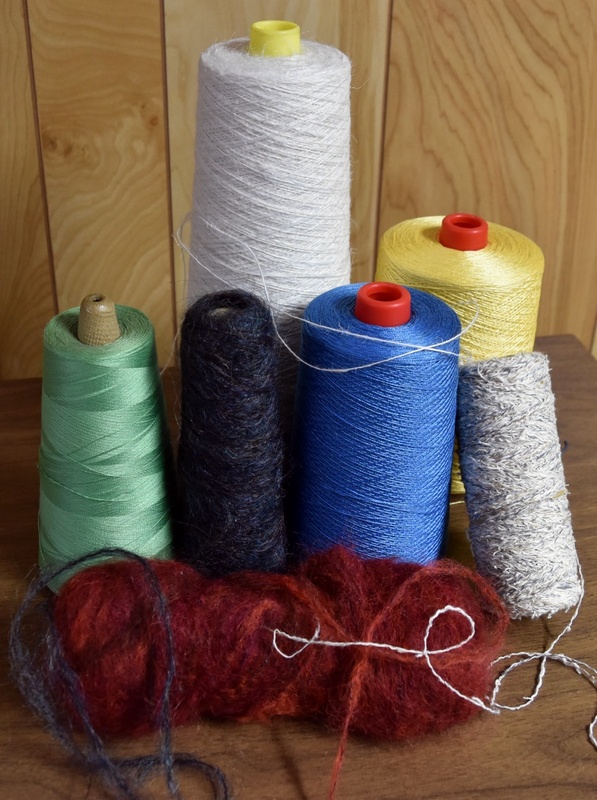 They are easy to follow, easy to thread, easy to treadle, quick to the finish line. The weave structure has a lot to do with it. Tabby, or plain weave, is just over under, over under. It can be threaded on just two shafts: one, two, one, two. I only have to go back and forth in the treadling: right, left, right, left. 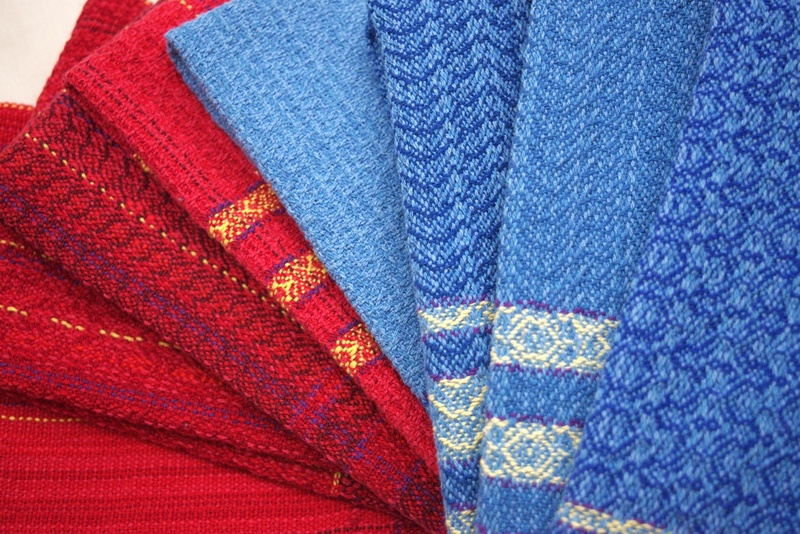 A four-shaft twill can also be a hare weave: one, two, three, four, one, two, three, four. Materials can make a project slow or fast. Thick warps and wefts take up more, thread in less time, and weave up quickly. Smooth yarns stick less in the warp and in the weft. All the lovely texture of a mohair or a bouclé can really slow down the weaving if used in the warp. One-shuttle weaves are faster than two-shuttle weaves. If I want to make a fabric more interesting and still keep it fast, I put more color in the warp and just use one shuttle for the weft. 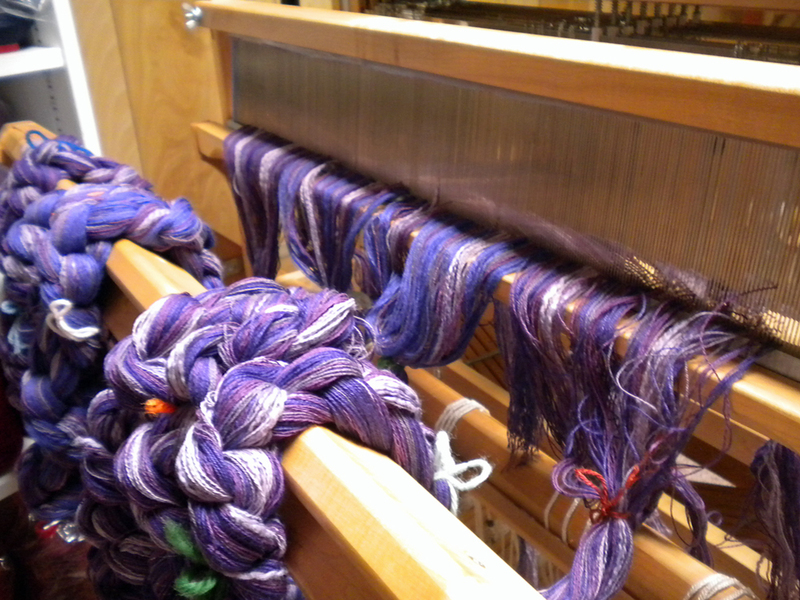 And this one is a bit counter-intuitive, but longer warps can actually be faster to weave. Why? Because I can set it up once and weave several projects on the same set-up. Even if it takes longer to measure, I can weave longer before threading again. Tying a second warp onto a previous one saves time as well. It’s easier to tie the knots than to rethread. These are all characteristics of “hare” projects. So what make a project a “tortoise”? Well, any time I use a non-repeating threading, or one with a long repeat instead of a short one, that will take more time to thread. I have to stop frequently to check for errors and follow the draft carefully. The same with the treadling, I have to focus on what I’m doing. Fine threads equal more threads per inch, take longer to thread and weave up. Any time I add more colors in the weft, I add more time for the weave. Accents have to be planned out, bobbins must be wound, ends must be tucked in. 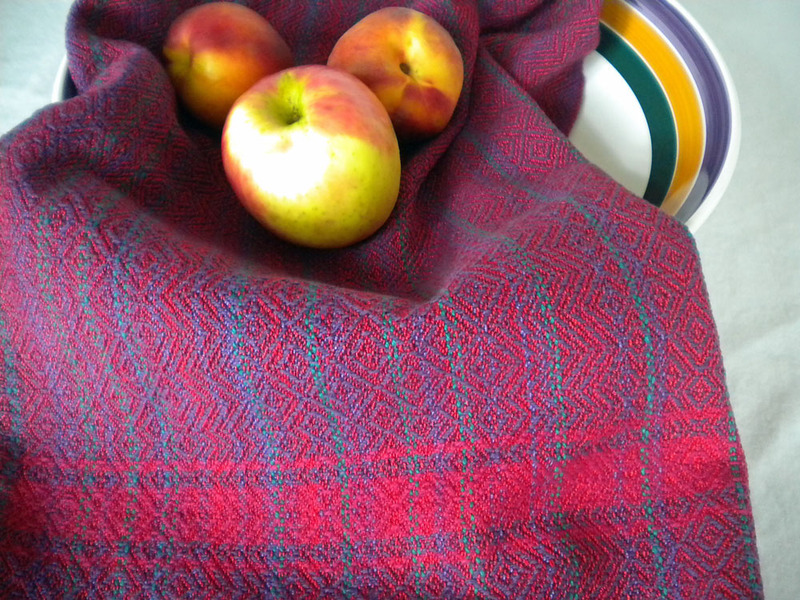 Think of all the color changes in a well-woven tartan. It takes time. Any complex weave is, by definition, going to take more time than a simple weave. 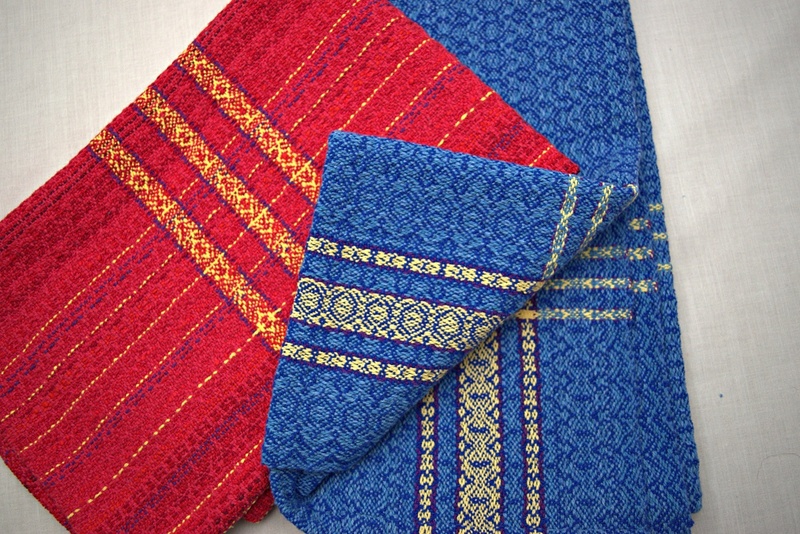 In this case, complex can be defined as using more than one weave structure, hand-manipulating the threads as in leno lace, or using a multi-harness loom technique like damask or opphämta. There are some weaves that defy these generalizations. 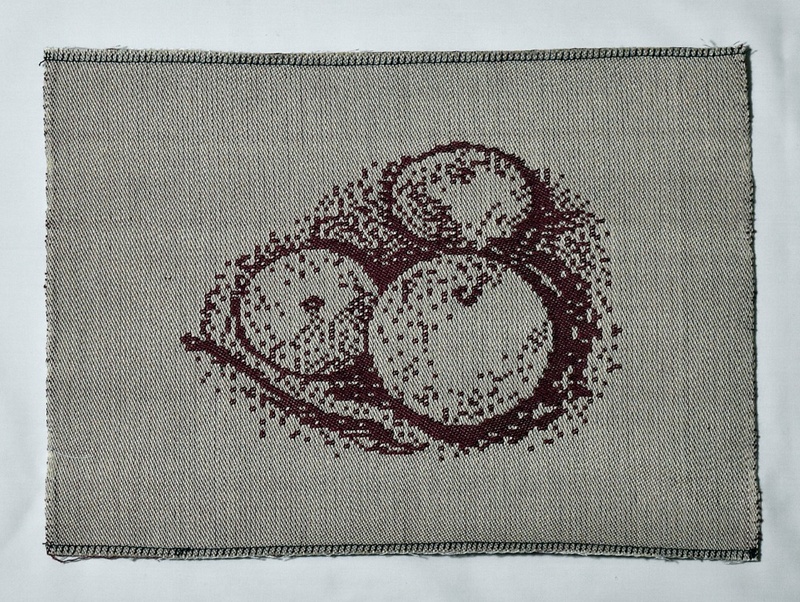 Tapestry, for example, is a plain weave, which is normally quick to weave, but because it is hand-manipulated, it is slow, very slow. And oh so worth it! Just being slow or fast does not make one weave better than the other. 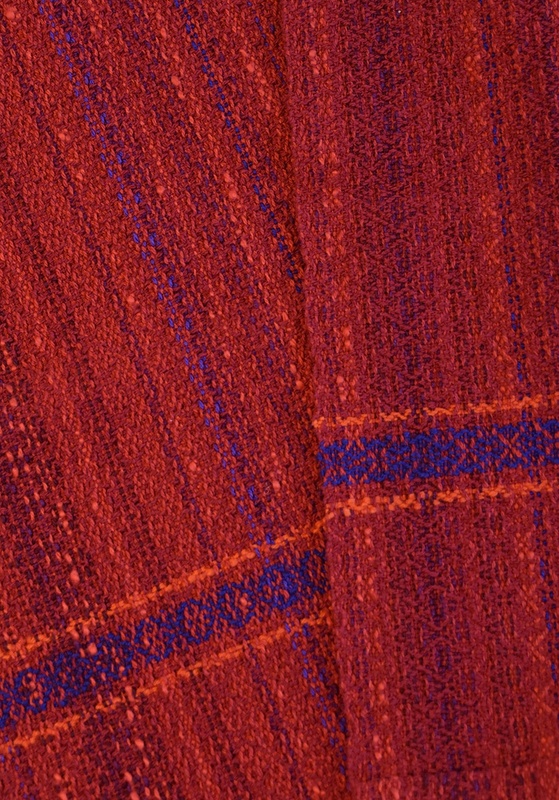 It’s just a characteristic of the fabric to consider when you are planning a project or purchasing a handwoven. When I need some hostess gifts, I want a fast weave. I just choose a simple threading and a one-shuttle weave. When I weave something for an exhibit, it has to be unique and specific to the exhibit theme. That will take longer, both in designing and execution. Summer is often a time for “hare” weaves. I’m in and out a lot, there’s garden work to do, family to visit. 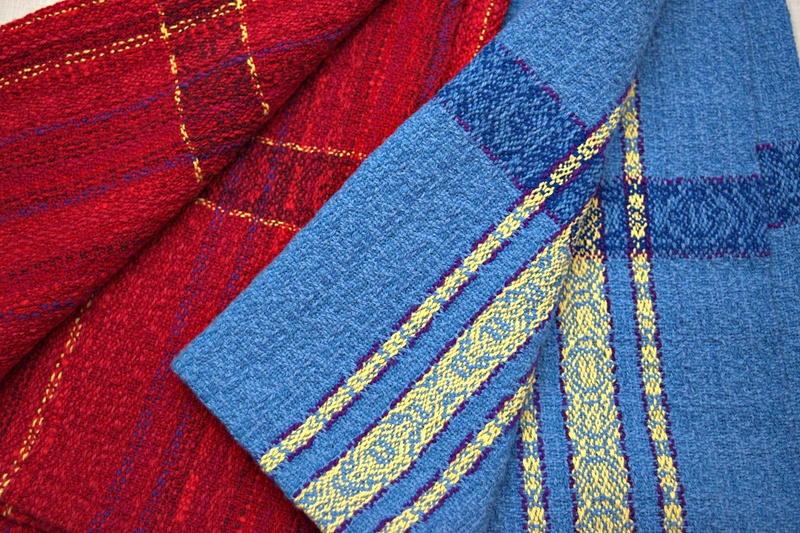 Weaving fits in between and I can’t afford to lose my place in a long, complex design. And it’s fun to see fast results. During the winter months, I work on more complex pieces. There is more time to design, to thread, to work with the projects to get the most from the warp. Here in mid-Missouri, we are smack dab in the middle of summer and baby blankets just came off the loom before a recent trip. Back home again, I finished the hemming and will now work on finishing the dragon placemats. After that, who knows? Perhaps another “hare” project. Or maybe I’ll buck my own definitions and start another “tortoise” during the summer months. Tortoise or hare—what is your favorite kind of project? Two weeks ago The Shipment came. In three long, heavy boxes: loom extension; shaft draw system to upgrade from the old one; combination single unit set-up. It was like Christmas in June. I think my husband was just as excited as I was. Let the fun begin! The pieces of the extension were finished but the other wooden pieces needed to be oiled and finished before I could put them together. And I’m a bit slow to comprehend things, so I read and reread the sheets that came in the boxes. One box only had a parts list—I was on my own to figure out how to assemble it. Another had more instructions, but no identification of the parts, so I had to figure out what some of the pieces were. The third box not only had instructions, but they were numbered to correspond to a drawing and little baggies of bolts and nuts. Hurray! I also had an idea from the Vävstuga video, Dress Your Swedish Drawloom, about how to proceed. Piece by piece, it started to come together. By the end of last week, I had most of the attachments assembled and installed. Some had to wait till I had a warp on the loom. 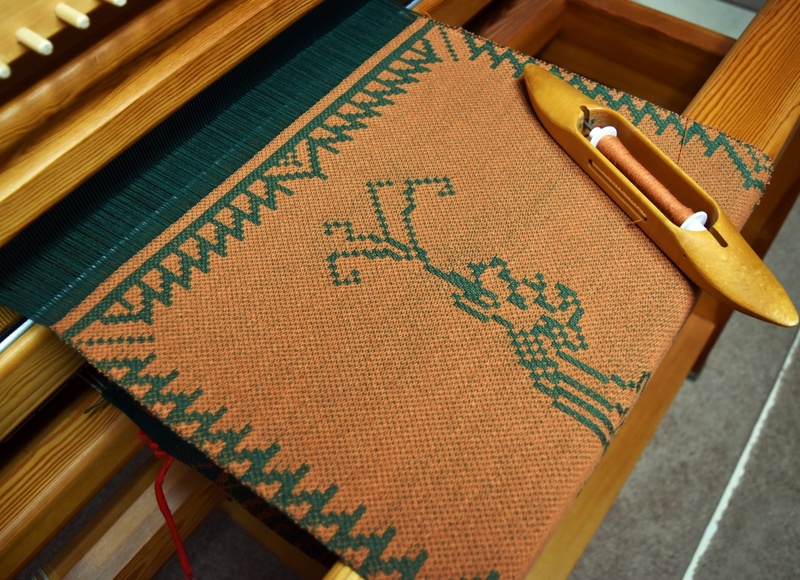 As I was learning more about drawlooms this spring, my husband joked that he wanted some dragon placemats. That seemed like a good project to start with. I found a fun graphed dragon in Here Be Wyverns by Nancy Spies (©2002 Arelate Studio, Jarrettsville, Maryland) and adapted a border from 826 Textila Bärder by Britta Johanson (©2009 Korssstygnsbolaget) Designing the border posed its own challenges. It took some work to balance the design to fit an 18” placemat. I chose to weave a 6-thread irregular satin with an 8/2 cotton warp. This allows me to be able to see what I’m doing and make any adjustments more easily. Because my existing countermarche is too long to fit within the new drawloom frame, I set this warp up on a counter-balance beam. This, too, is a first. With the 6-shaft satin on this counter-balance tie-up, shaft 1 is tied to shaft 6, 2 to 5, and 3 to 4. So when I pull up shaft 1, shaft 6 goes down; the same with all the others. I tested the shed by weaving a couple inches and measured a few random units to get a feel for how well the graphed design would fit in my planned weaving length. All set, the mat began, first with the hem, then the border, and on to the tail. The wings took shape, followed by the head complete with “flames”. Finally the border and ending hems. The mat ended up a bit longer than I intended, but the cotton will shrink in the finishing. This has been a satisfying first project. Now I have to decide what project to follow. Last night our study group met. We were a small group—the local colleges are on spring break and many people are out of town. Those of us who came shared our current projects and the conversation turned to tying a new warp onto the previous one. Susan said she rarely ties on. She says she is always planning the next project while she is weaving, and it is often in a different structure. 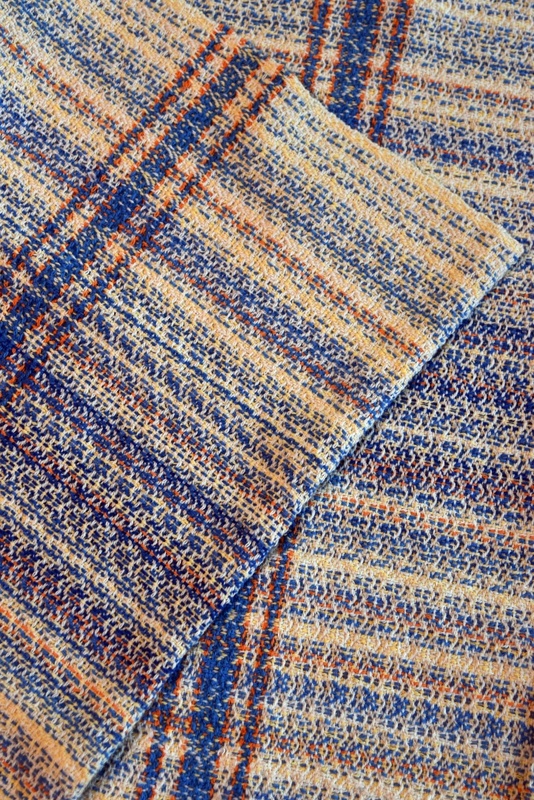 As an example, Susan brought a rainbow colored baby blanket woven in 8-shaft crackle. What a bright and cheery blanket! The blocks for her crackle pattern came from an overshot name draft that she designed. 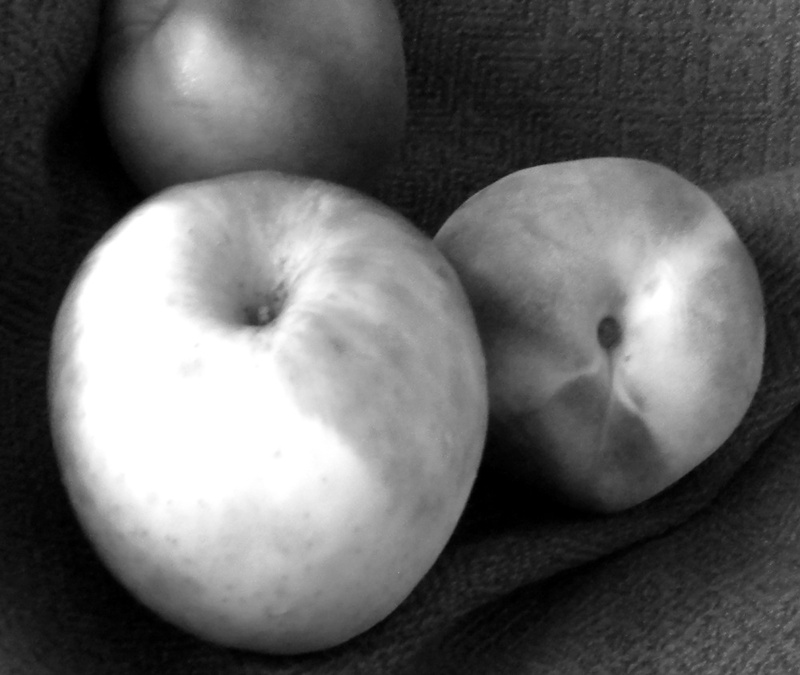 She showed us that same name draft woven in fine white and blue linen overshot. Then there were the lace towels in 10/2 cotton—again using those name draft blocks, this time in lace. That’s three different structures from one block design. She couldn’t tie each warp onto the previous one because they are different structures, but she started with the same block design for each. Paula said she ties on whenever she can. Paula has an Ms and Os warp on right now for a baby blanket after which she will reduce the sett for a scarf, then after that, she’s spread the warp again and tie on for a rug. Paula has studied Ms and Os for years. She starts with that one weave structure and interprets it into everything from fine to heavy fabrics. She knows just what to expect from different yarns in that weave and how they will respond to the floats and interlacements. One weave structure—many ways. I’m somewhere in between in the tying discussions. I tie on when I can, but like Susan, I’m often on to a different structure with the next project. Currently I’m working on a gebrochene weave. That’s an old German name for a fancy Ms and Ws twill. 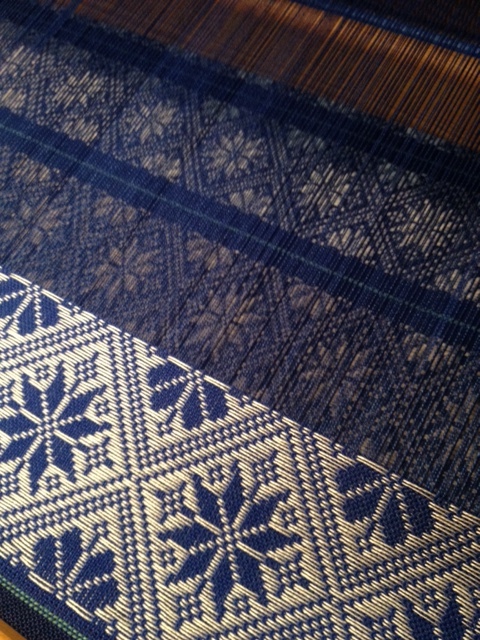 I really love the intricate patterns created with just the classic twill line going in different directions. From this one threading, I can weave plain weave with a fancy twill border, gebrochene in a straight treadling, gebrochene in a point treadling, trompt as writ, or a combination of any of these. Using different colors and fibers and tying on to the existing warp, I can weave towels, runners, napkins, even scarves before I have to rethread. 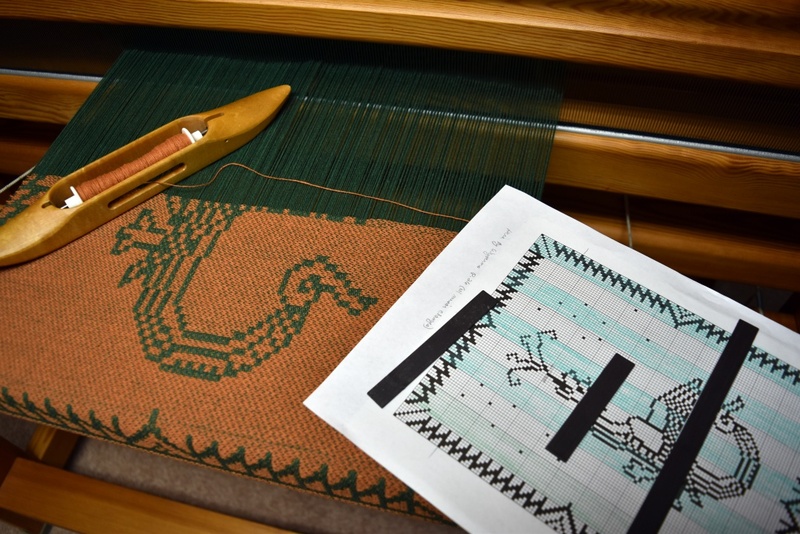 All of us have ways to get the most out of our creative time, whether it tying on to the previous warp, or using the same draft in multiple structures, or weaving a single structure into a variety of items. How do you get the most out of your creative time? 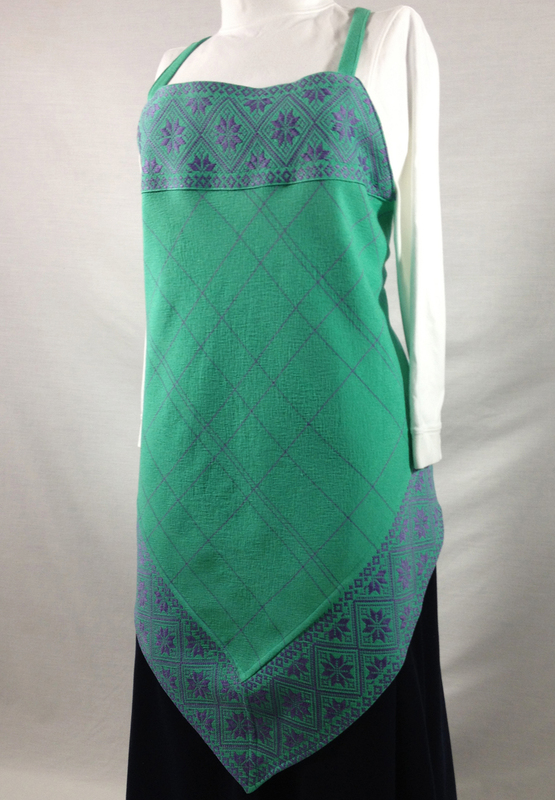 Earlier this summer, I set out to explore opphämta and chose to put together some aprons using the patterning as borders along the sides and bodice. This has been a season-long project, but one in which I’ve learned a lot. Because I wanted to make unique aprons, I wound only enough warp to make two aprons of each color. I also wanted to include some contrasting threads spaced randomly across the warp and weft. 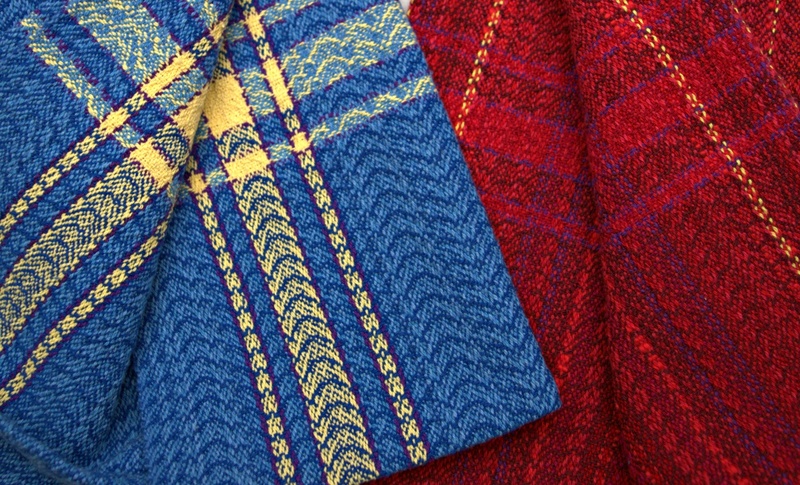 Since the borders and ties are woven on the same warp, this presented a bit of a challenge. Those contrasting threads interrupted the opphämpta pattern. 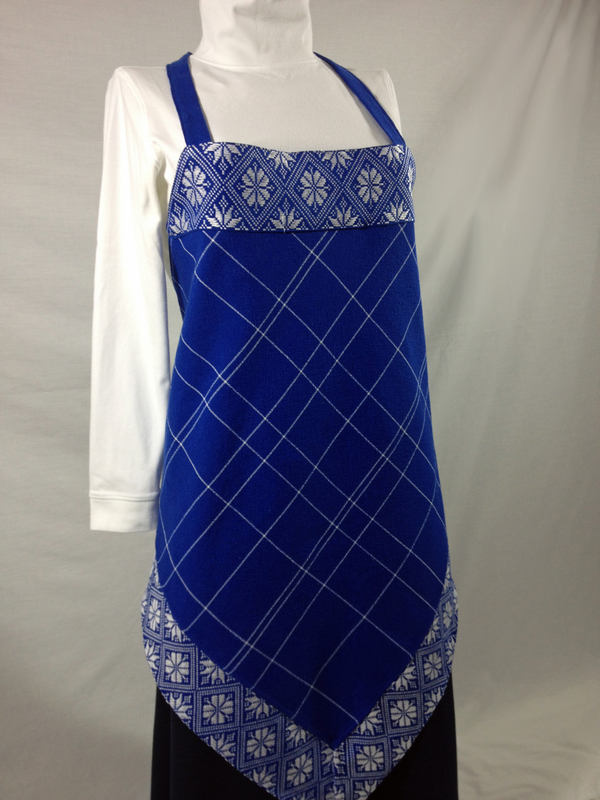 My first solution was to weave the body of the apron first with the contrasting threads. 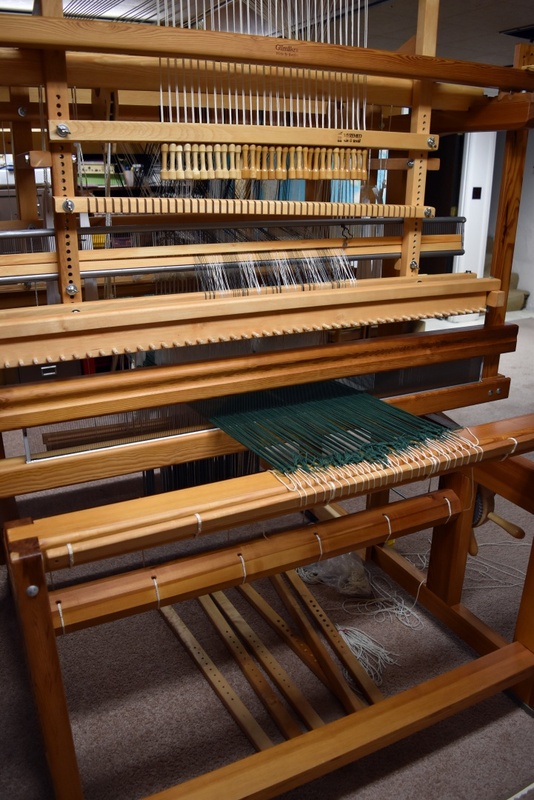 Then for the tie bands and patterns, I replaced those threads in the warp with the main color and weighted them off the back of the loom. This worked okay but caused a few tension issues. I actually preferred the second solution—changing the contrasting threads on the warping board as I was measuring the warp. This did take some calculating, but the warp tension was more consistent. My color choices were mainly pretty traditional—blue on white, white on blue. 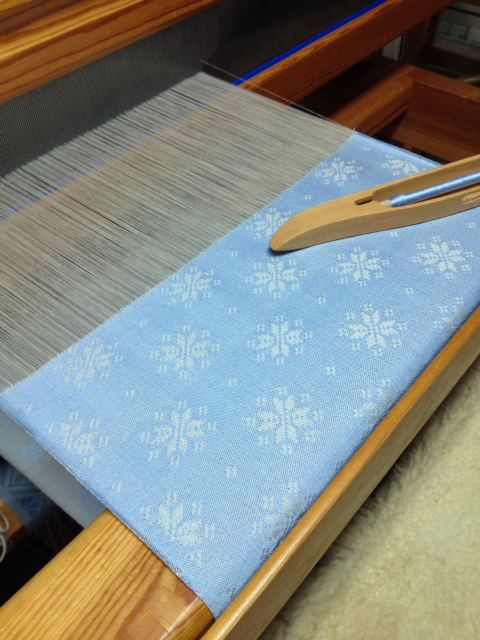 Then for the third warp, I used some seafoam green mercerized cotton that blends well with lavender. Those color studies from earlier this month came in handy. 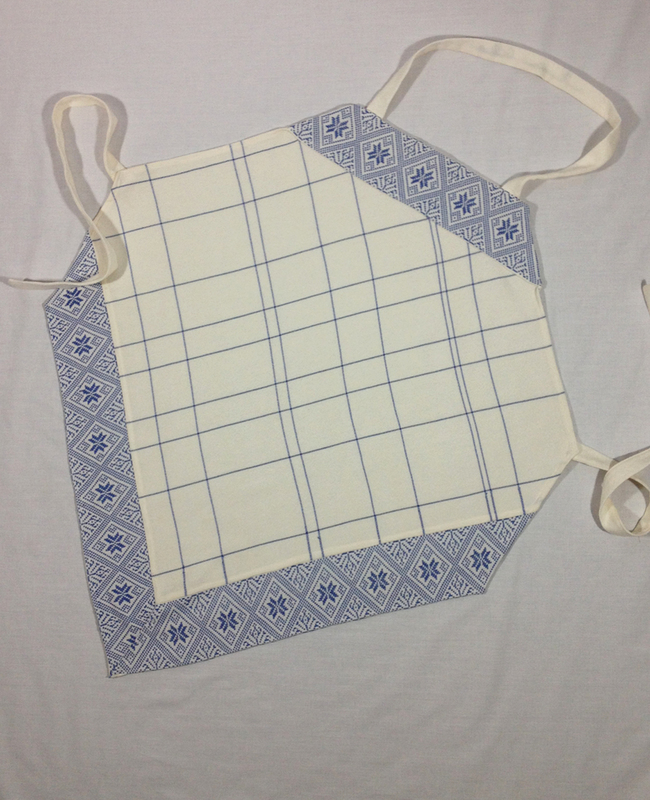 Each apron uses a different opphämta design. There are so many different sources and motifs that I can spend hours playing with stars, roses, diamonds, and crosses. The scale of the pattern had to fit on the apron, so I kept my units to two threads each. With a sett of 24 epi, a five-unit float is almost ½”, so any float over five units had to be tied down. 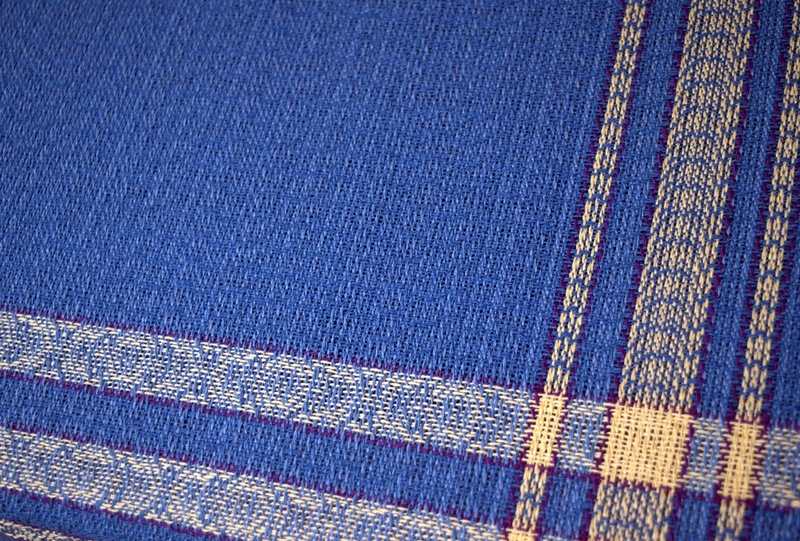 Another damask warp off the loom! Life happens, and there are seasons when it demands attention. We have all experienced them. Parents age. Children struggle. Friends face crises. Sometimes it’s joyful distractions: weddings, graduations, new jobs, new children–or grandchildren. All these pull at our energies and keep us away from the work of our hands. In the past, physicians recognized the healing properties of working with the hands. There are images of hospital patients, adults and children alike, weaving at looms, making baskets, painting. Occupational Therapy is only one of many fields in which arts and crafts are used to soothe. Who among us hasn’t found peace in the gentle rhythm of the shuttle or knitting needles? 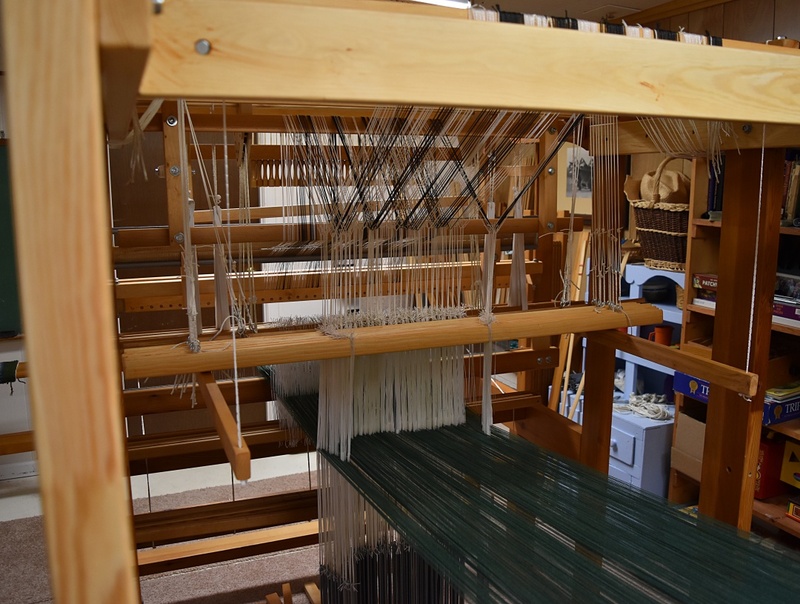 The past several months have been full of distractions, and yet whenever I sat down at the loom again, it felt so good, so peaceful to throw the shuttle, listen to the gentle thump of the beater, to watch the pattern grown at the fell. And while I was away from the loom, knitting brought some peace at the end of the day. Each row, each stitch, helped unknot the tensions. 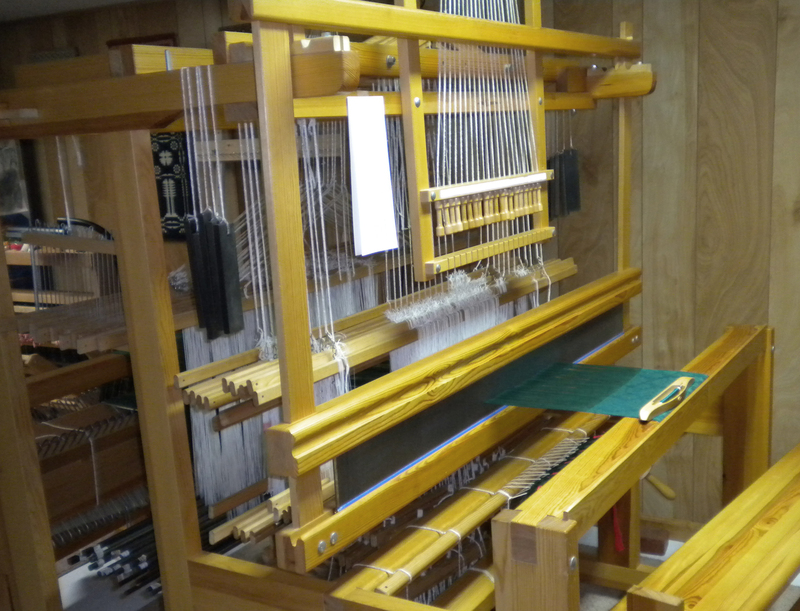 Just this past week, I finished a warp that had been on my loom since September. It’s rare for a warp to take that long, but how gratifying to throw the final shot and cut the web! How satisfying to see the yards of damask unfold! There are other warps that have been languishing as well. 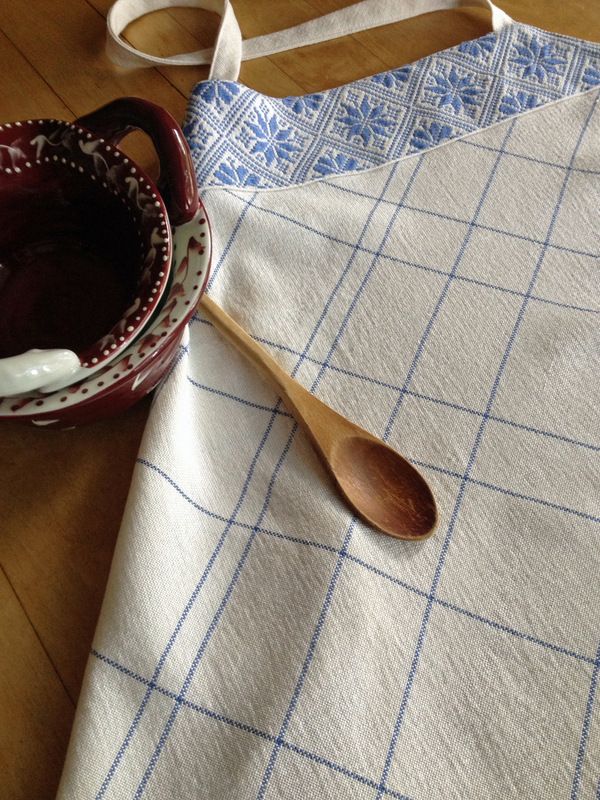 I’m looking forward to continuing some linen towels that have been patiently waiting on the Baby Wolf! And then there’s “Junior” waiting to have the shafts properly balanced for the opphämta weave I’ve been wanting to try. And all of these are my therapy, soothing my mind and soul. Whenever life winds itself up tight, it’s good to pick up the shuttle again and re-center. What do you do to calm your spirit? Every year, as I put away Christmas, I go through the Christmas cards and re-read the letters enclosed in them. This is the only communication I receive from several of these people, but I so appreciate the letters (unlike what the media makes us think about Christmas letters!) I love reading about friends’ families and finding out what they did this past year and what they plan for the new year. How else can we stay in touch? When I was a child and complained about being bored, my Mom would suggest writing a letter—either that or some job I really didn’t want to do. That suggestion to write a letter was a pretty good one. Who doesn’t like to get some “real mail” – not just junk mail – in the mailbox? And how else to get letters than to write them? At least that was the logic. Yes, I know what they say about letter writing—that it’s a thing of the past, that in this digital age, it’s a waste of paper and time. I beg to differ! I treasure the letters I received from my grandmothers and others who are now gone. Their encouragements, greetings, and stories bring a smile as I re-read them after so many years. And as anyone who has tried to research their family history knows, letters give a glimpse into our ancestors’ everyday lives. So I forge ahead into the new year, once again resolving to write more letters. Even if I don’t hear back, I hope the lines in the cards will cheer someone up and brighten their day. If you are looking for a blank note card with a handmade touch for your next letter, you can find several options at my Etsy shop, JeanWeaves. 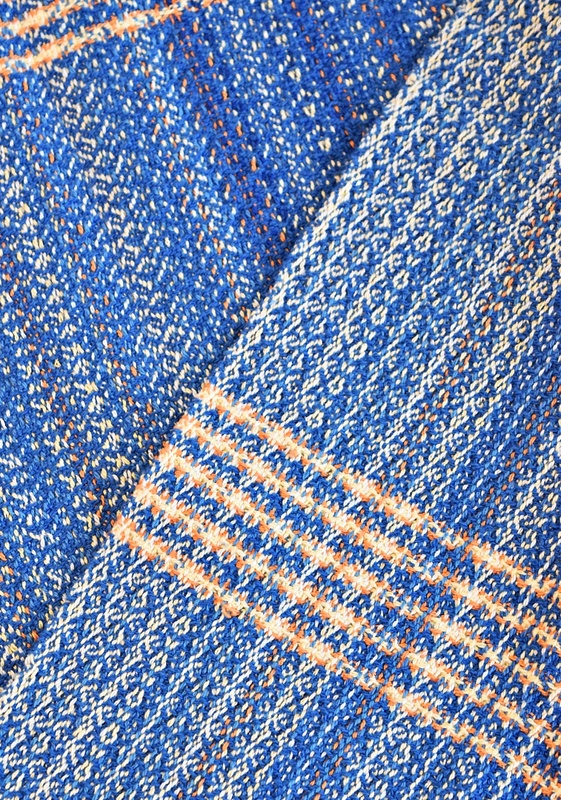 Happiness is discovering that the runner ordered to match a previous purchase was woven on the 8-shaft loom, not the draw loom. This is a game-changer in terms of how long it will take to weave the order. The draw loom takes way longer to thread than the 8-shaft loom. 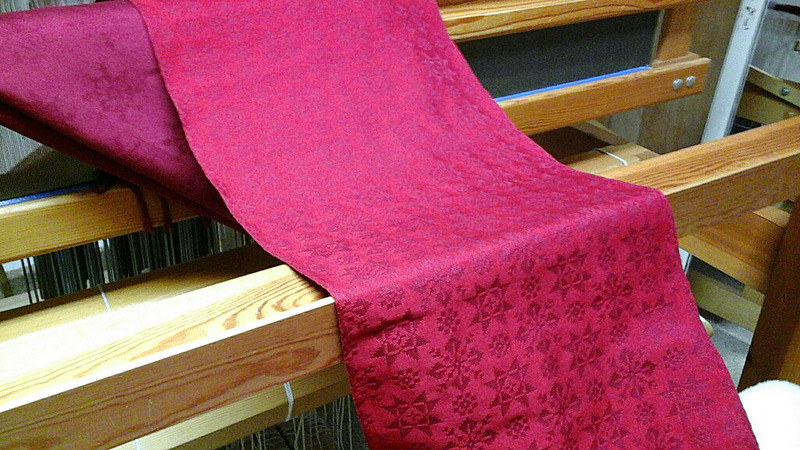 The current project on the 8-shaft loom takes way less time to weave off than the damask on the draw loom. You would think I’d remember which loom I used to weave a project. After all, I only have the two looms. But once I take one warp off and put another on, my mind moves to the next combination of colors, weaves, and threads. Throw in the holidays, family obligations out of state, along with another weaving order, and the difference in looms makes me very happy indeed. This is indeed doable! I hope you find similar fortuitous discoveries during this busy season!